Cupcake Liner as Drip Catcher~ Before serving that Popsicle, slip the stick through a foil liner to catch drips and keep hands from getting sticky. Earrings as Pushpins ~ Face it: That long-lost earring is probably gallivanting with a wayward sock in Ye Olde Land of Misplaced Items. (What a stud!) Let its lonely, abandoned mate rebound as a pretty thumbtack on a bulletin board. Aluminum Foil as Fixture Protector ~ Protect doorknobs and hardware in the kitchen and bathroom when you're painting by wrapping foil around them to catch dribbles. 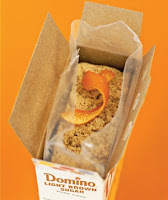 The foil molds to the shape of whatever it's covering and stays firmly in place until the job is complete. 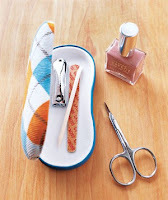 Eyeglasses Case as Manicure Kit ~ An unused glasses case makes a convenient storage spot for nail files, clippers and other manicure essentials while on the go. 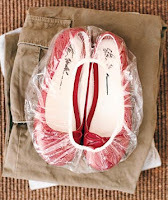 Deodorant as Blister Preventer ~ Make breaking shoes in less of a pain. Rub clear-gel deodorant on spots prone to blistering before you step out in a stiff new pair. Lollipops as Cocktail Stirrers ~ Look for traditional lollipops in colors that complement your drinks. 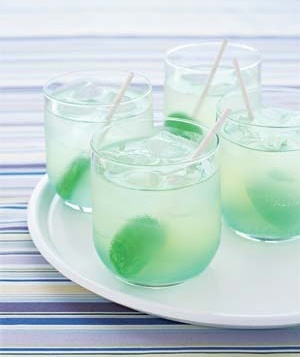 Lime-flavored stirrers give vodka tonics an extra burst of flavor. 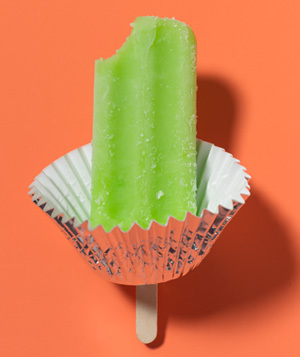 It's an inner-child twist to a distinctly grown-up beverage (and fodder for cocktail-party small talk). 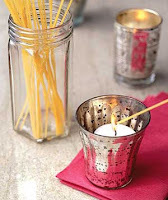 Spaghetti as Candle-Lighter ~ If you don't have extra-long matches, use an uncooked piece of spaghetti to light multiple or hard to reach candles. 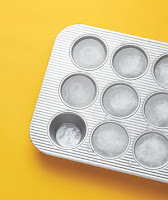 Muffin Tin as Large Ice Cube Tray ~ The cold, hard truth: Small ice cubes melt fast, leaving a pitcher of lemonade watery. To make long-lasting jumbo cubes, use a muffin tin. Pop them out by running the back of the tin under hot water for 30 seconds. Citrus Peel as Brown Sugar Softener ~ Avoid rock-hard brown sugar and preserve the moisture by dropping a three inch-long orange peel into the bag. Aluminum Foil as Wrinkle Remover ~ To get wrinkles out of silk, wool, and rayon clothes that can't take direct heat, place a piece of foil on your ironing board, then lay the garment flat over it. 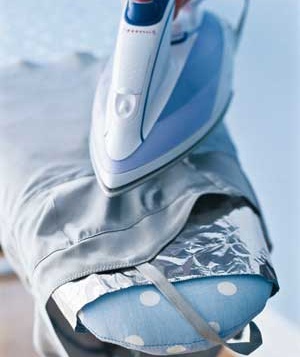 With the steam button down, pass the iron three to four inches over the fabric several times. Wet heat radiating from the foil helps smooth out wrinkles. 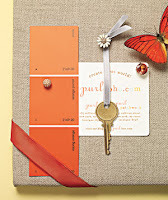 Button as Earring Holder ~ Travel is best done in pairs (think of Lewis and Clark or Thelma and Louise). To keep a set of earrings together on your next overnight jaunt, fasten them to a button so they won’t get lost in your suitcase pocket. Nail Polish as Button Securer ~ Apply a thin layer of polish to the center of a button to keep the thread from coming loose. 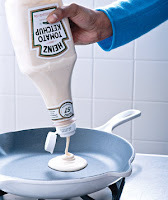 Ketchup Bottle as Pancake Batter Dispenser ~ Portion pancake batter with precision―without the usual mess of transferring batter from the bowl. Squeeze out baby-size or plate-size rounds, or add Mickey Mouse ears to a batch of silver dollars. 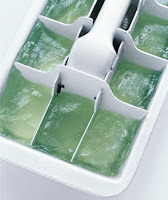 Ice Cube Tray as Sunburn Soother ~ Freeze cubes of aloe vera for instant sunburn relief when you forget the SPF. Nail Polish as Key Coder ~ Differentiate your keys by color-coding them with your favorite nail hues. 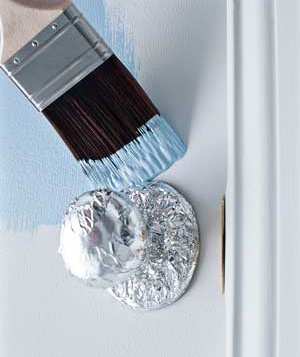 Lay keys flat and apply a thick coat of a different shade to the top of each one. 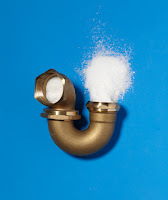 Dryer Sheet as Scum Buster ~ Remove obstinate soap buildup from glass shower doors by sprinkling a few drops of water onto a used fabric-softener sheet and scrubbing. Rubber Bands as Strap Securers ~ Keep your camisoles and sundresses from slipping off their hangers by wrapping a band (or two if you use skinny ones) around each end of a hanger. 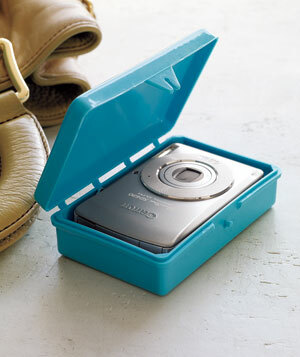 Soap Case as Camera Carrier ~ Protect your picture taker from getting knocked around in your carry-on by placing it in a hard plastic travel soap case. 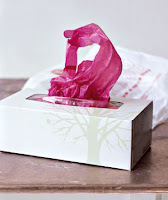 Tissue Box as Plastic Bag Holder ~ Dispense plastic grocery bags with ease. Stuff your empties into and old tissue box and store under the sink. Then pull out one at a time when you need it. Salt as Homemade Drain Cleaner ~ Get a slow-moving drain flowing again and pour a solution of ½ cup of salt for every quart of hot water down the pipe. 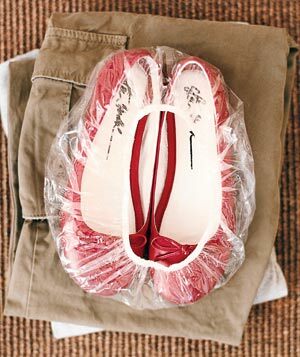 Shower Cap as Shoe Bag ~ Prevent dirt or sand-covered shoes from mingling (and soiling) neatly packed clothes in your suitcase.